Scott Hastings (Paul Mercurio, Exit to Eden) is a professional ballroom dancer who has been trained all his life to win the prestigious Pan Pacific Grand Prix trophy in Australia. Even though it looks like he could win the competition easily, his insistence of making up his own “provocative” routine of steps could jeopardize his aspirations. “Crowd pleasing,” “original,” and “pure entertainment” were some of the adjectives film critics used to describe this Aussie production, and for once, they were not exaggerating. Once I had the opportunity to watch Strictly Ballroom, the film quickly became one of my favorite dance films of all time. Yes, Strictly Ballroom is a cliché-ridden, Cinderella-type of story, but one has to admire how determined director Baz Luhrmann (Moulin Rouge!) is to make the most of the flimsy storyline. He succeeds in giving the movie a structure and style that are not only unique, but also very infectious and stimulating. The film is charged with so much energy that once the movie reaches its spectacular climax, few viewers would be able to resist the temptation of cheering with pure delight. Luhrmann seems to understand the film medium better than most filmmakers, exploiting the larger-than-life qualities that are inherent to the medium and, in this case, perfectly suited for the material. He sets out to tell a modern-day fable that has little relation to reality, but he does it with so much passion and enthusiasm that the film succeeds mainly because of the strength of its own convictions. 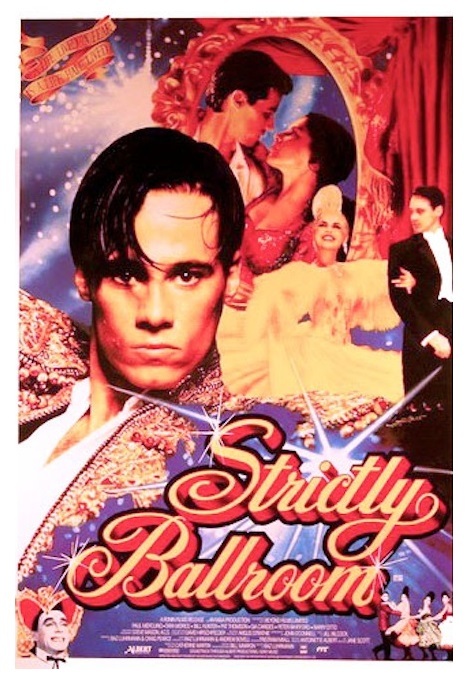 Strictly Ballroom, written by Luhrmann, Craig Pearce, and Andrew Bovell, is outrageous, highly theatrical, and wickedly funny, and comes close to becoming high camp (especially during the surreal flashback sequences), but the movie somehow manages to make a few important statements about success, love, artistic suppression, and individuality. Like the ballroom dance itself, Strictly Ballroom is a classy and exuberant piece of entertainment, with a lot of heart and gallons of charm. 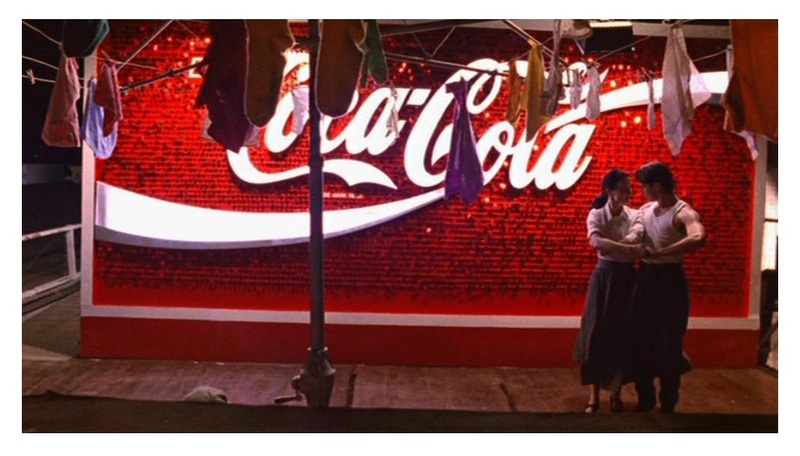 Even though the movie can be pretty low-key at times, there is no doubt that Luhrmann likes to paint his ideas with bold colors, using characters that are borderline caricatures. Despite Luhrmann’s tendency of going over the top, the truth is that he manages to infuse so much vitality into the proceedings that one cannot help but get swept away by his energy and creativity. I particularly like how Luhrmann borrows ideas from other films and presents them in such a manner that they seem new, fresh, and exciting. The film’s dynamic, wildly cinematic techniques have the power to leave you breathless, always enhancing the storyline and never distracting the audience from the main plot. With more style that any film deserves to have, Strictly Ballroom is a joy to watch, and its shameless, no-holds-barred celebration of the power of cinema (and the ballroom dance), will stay with you many days afterwards. Leading actor Paul Mercurio is a forceful and charismatic screen presence, and actress Tara Morice (Moulin Rouge!) has the right combination of girl-next-door beauty and wholesome charm. Bill Hunter (The Adventures of Priscilla, Queen of the Desert), Pat Thomson, Gia Carides, Barry Otto, and Peter Whitford also shine in supporting roles, and they do not miss an opportunity to chew up the scenery. With its charming ingenuity and innocent ideas about love and life in general, Strictly Ballroom’s opening scenes quickly earned my admiration, and my enthusiasm was sustained all the way to its smashing and old-fashion finale — the last 20 minutes of the movie are pure cinematic magic. The film’s storyline is simple at best, but so energetically played by a wonderful and talented cast that their love for the material is very contagious. Color, 94 minutes, Rated PG.